We are on a mission to encourage reading in young children and pass on stories to them - stories of wisdom, courage, kindness, love. It is difficult to get kids to read in a world of smartphones and video-games. 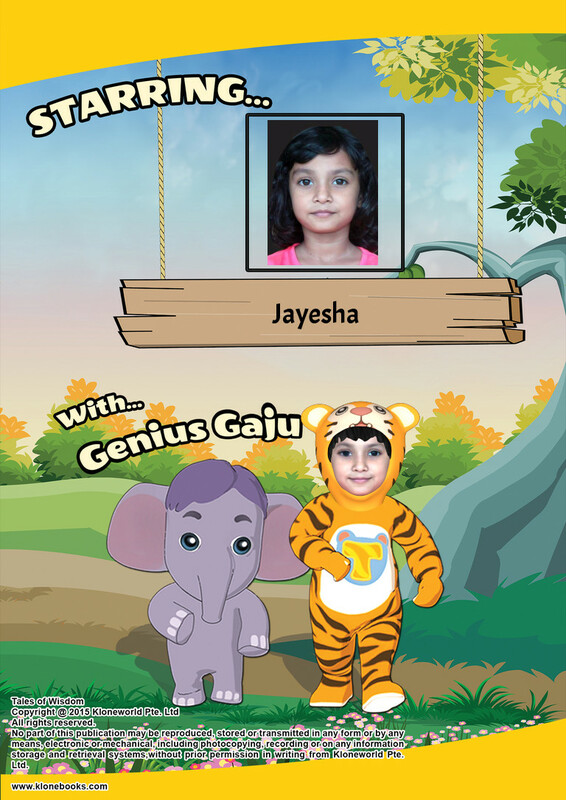 We capture the attention of a child by putting them inside the books they read. Then the story takes over. 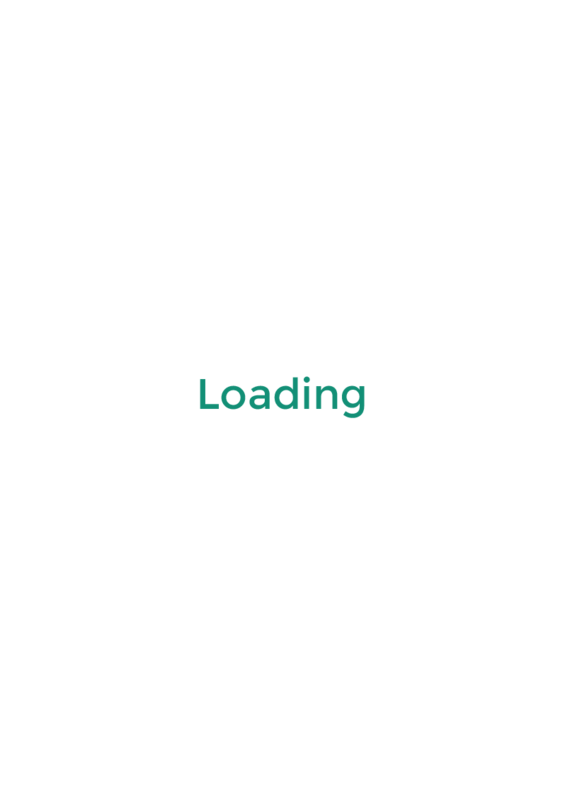 If you are a parent of young kids like me, please spend a few minutes browsing this site before you move on. Digital versions of all the books are free. In case you feel like buying a Printed Book later, we will be happy to oblige. "My son just loves his new adventure! This is his favourite bedtime story now!" "It sure is fun watching the stories come to life with my kid! I can't wait to see Elroy's reaction!" 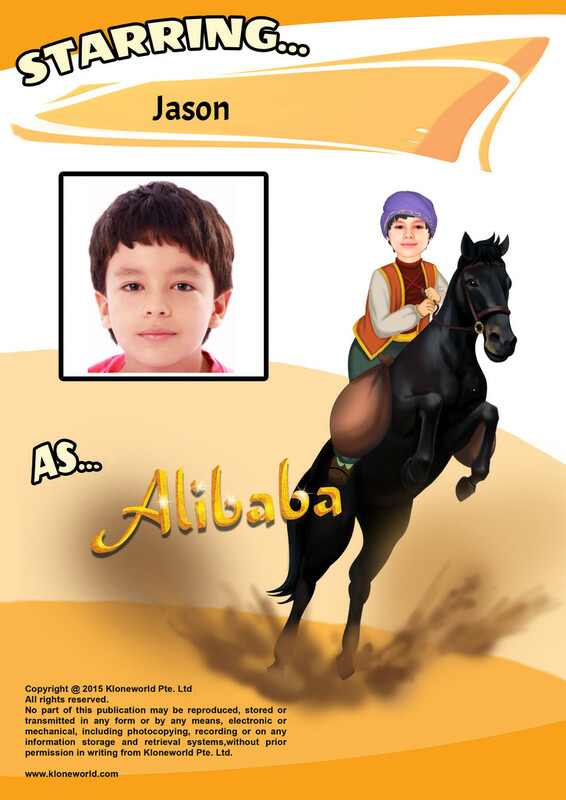 Your child will star as Ali Baba in this thrilling story from the Arabian Nights. 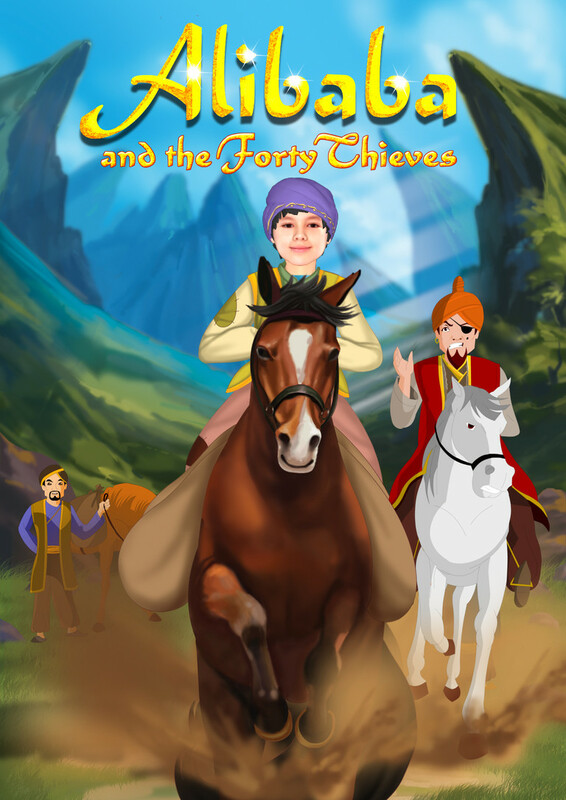 They will discover the secrets of the cave of treasures and a notorious band of thieves. While foiling the thieves' evil plans, they will learn lessons about greed and the importance of keeping your eyes open. 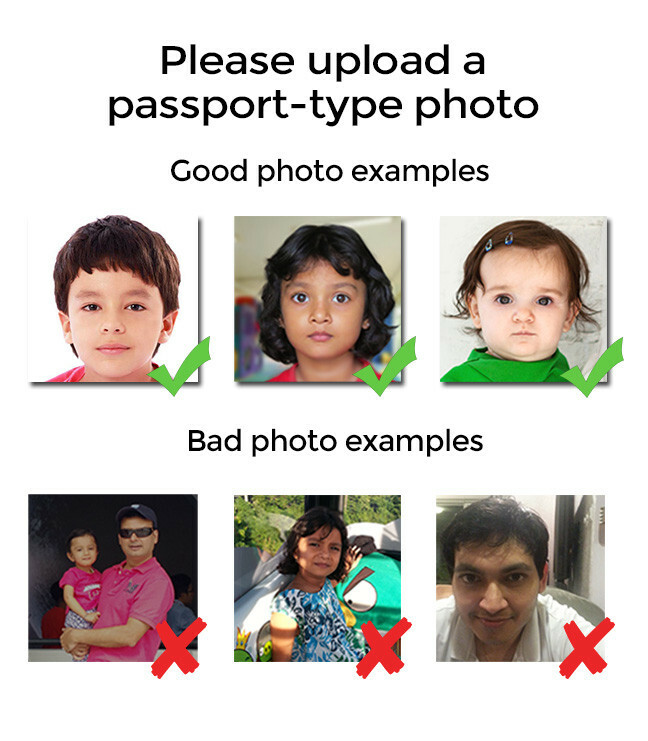 This book requires a passport type photograph. 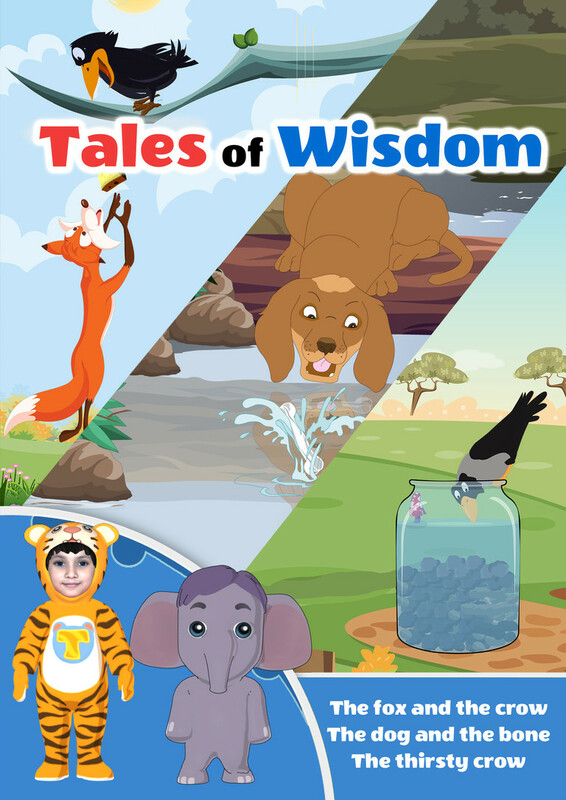 Your child will learn enduring life lessons from these classic tales. A clever crow quenches his thirst on a hot summer day through hard work and perseverance. Another day, a foolish and vain crow falls for the wiles of a scheming fox. A dog pays a high price for his greed. 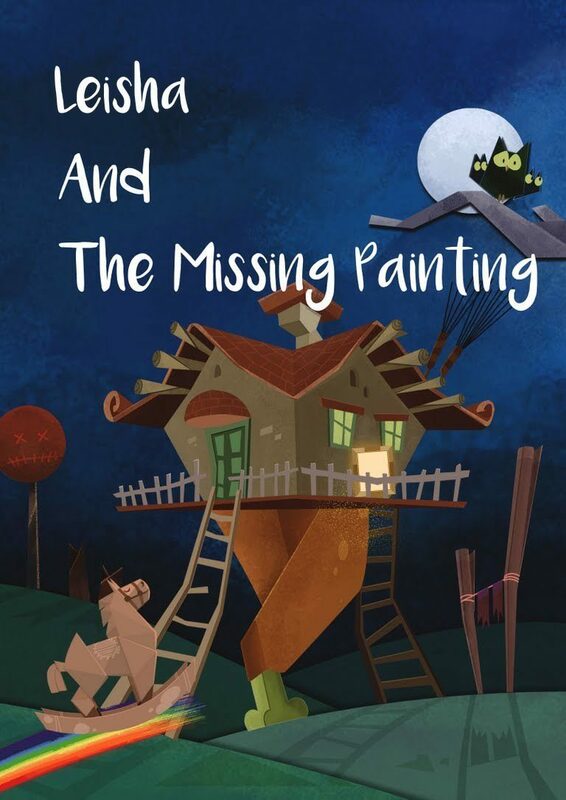 In this book your child will go on an amazing journey across the world to recover a stolen painting. They will travel from China to Egypt, from India to Antarctica, while learning values like empathy, bravery and forgiveness and skills such as sequencing and counting. No two adventures follow the same path. 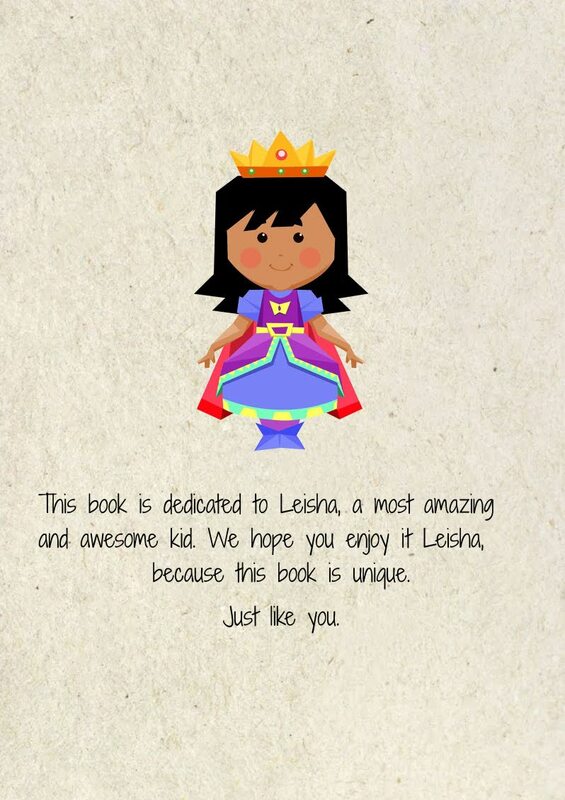 Each story is completely personalised and unique, just like your child!